Calling those with a Heart of Gold...be part of a community that cares! Do you have a Heart of Gold!? Thank you for helping us fulfill our mission to Love People Through Coffee and a BIG thanks to our partners Toast Temecula and Donahoe Chiropractic. I believe it what you are doing to help our community. God has been good to me and I want to share with others. 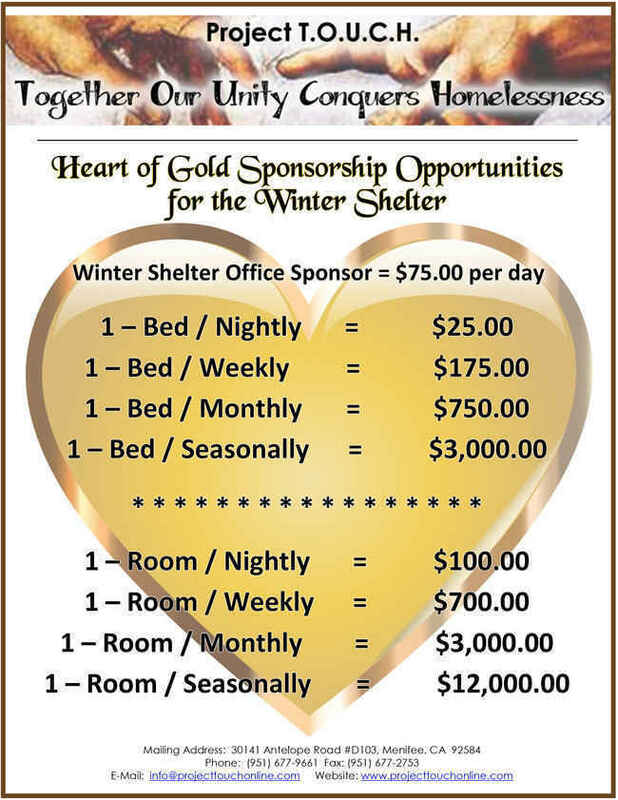 Let's help keep others safe and warm this winter. We are called to serve with love and generosity! All glory to our Lord!